PDARC meets on the second Tuesday of every month at 7 pm and all are welcome. The location of the club meeting is Christ the King Lutheran Church, located at 305 West 25th Street (behind the Days Inn) in Yankton, SD. Coming in from the north on Hwy 81 turn at the Days Inn and go east on 25th street just a short distance. The road curves a bit to the right or south and you are at the front of the church. Go to the top of the hill and the parking lot is on the south side. Meeting information will be announced via the PDARC Yahoo Group http://groups.yahoo.com/group/pdarc/ and on this web site http://pdarc.org/ If you want assistance with joining the PDARC Yahoo Group please contact any of the PDARC officers. Call on W0OJY 146.85 with a tone of 146.2 if you need meeting information or help on directions. 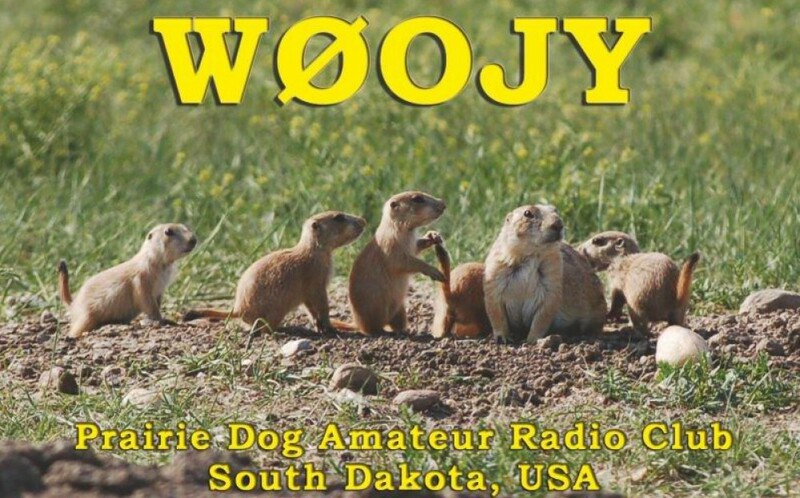 The Prairie Dog Amateur Radio Club Nominating Committee has nominated Kurt Hauser (AE0A) for the position of President and Jim Brewer (KE0IDM) for the position of Treasurer. The election will take place at our September meeting on Tuesday, September 11, 2018. If anyone else is interested in one of these positions nominations can be made from the floor prior to the vote. As required by the bylaws, this notice of the Nominating Committee’s nominations has been placed on our website. The bylaws define the nominating committee as the club’s officers.